A pirouette on Elisabeth Bridge, an arabesque in front of the Parliament – ballerinas cropped up recently in downtown Budapest. The reason was a very special photoshoot. Mexican photographer/musician Juan José “Juanjo” Rodríguez put together some incredible photos of Hungarian dancers at beautiful locations around Budapest. Juanjo came to our Budapest Expats social media group looking for dancers for a photoshoot in special locations around Budapest. It was impossible not to sit up and take notice, so we immediately asked him for an interview. 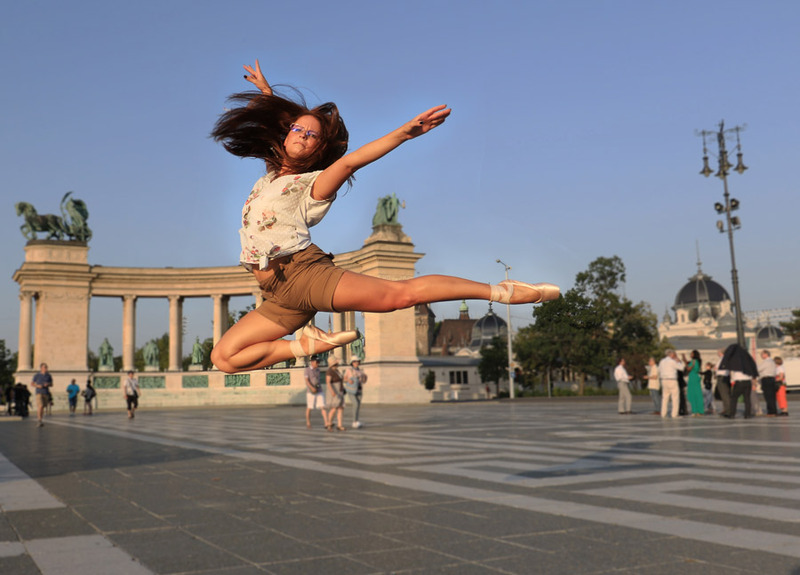 What inspired you to make the stunning photoshoot about dancers in Budapest? From my first day in Budapest I was astonished by the beauty of the city. It’s hard to believe that those streets can be “my usual way home” for some people. I’d love to have such inspiring scenarios not only to go to my studio in, but also to take a million photographs of! I found some incredible dancers who wanted to work with me. After a couple of days scouting – Budapest is perfect for walking – I found the perfect spots in every place I wanted to photograph. The dancers, with their wonderful attitude and skills, did the rest. How do you decide which country/city you want to make projects about? Well, it’s half planning and half trusting in what life brings to me. I came to Budapest for the first time because my sister fell in love with a Hungarian engineer and he became part of our family. So I got involved in Hungarian culture and decided to make a shoot here. Recently I spent a month in a medieval town in Italy and found an amazing Brazilian dancer. It was impossible to resist shooting in such a beautiful place. ...ballerinas cropped up recently in downtown Budapest. Juanjo Rodríguez put together some incredible photos of Hungarian dancers at beautiful locations around Budapest. I’m not a “tourist”. I don’t want to take a selfie on a bridge to post it on social media and say “I’ve been to Budapest”, and then go to McDonalds! I need to meet local people, have long chats, know the country’s history, understand which politicians they hate, I need to taste their local food and listen to local musicians. That’s being a traveller. I love interesting places and cultures, they inspire me. Not every place is good for a dance shoot. Barranquilla, Colombia was a “must” if I wanted to photograph a carnival. Spending a week in the Sahara couldn’t be a better place for photographing loneliness. For a project, you need serious planning, but you also need to be open to improvising. Sometimes you find something stunning and you suddenly know it’s time to postpone plan A for a while, and start clicking into your new project, conceived five seconds ago. Your colourful self-definition on Instagram caught my eye: “Musician/world traveller, fan of extreme sports. Deeply in love with photography, cinema and cultural and social themes”. How are music, sport photographs and films related to your life? My “colourful” self-definition started when I was very young – maybe 3-years old – and I decided to become a musician. I entered the National Conservatory in Mexico at 14. Everything was fine until I finished pre-university school and my mother thought music was becoming “too serious” in my life: she didn’t want me to be an artist who could die of hunger. We negotiated and she allowed me to carry on with music if I studied a parallel career, so I entered UNAM (our national university) to study Sciences of Communication, where I fell in love with photography and journalism. At 21, I started working in recording studios, making music for TV commercials, TV series and cinema – combining my two careers – which led me to make money for my third passion: travelling. The cocktail was set for what I wanted for the rest of my life. What is your everyday life like with all these passions? Since then I’ve been travelling around the world. Many times as a photojournalist for Mexican newspapers and magazines, capturing moments from people’s lives. From the amazing beauty of Edinburgh and Italy, or the cold nights in the Sahara, to the heat of Barranquilla’s carnival and the amazing multiculturalism of New Zealand. And fortunately, I’ve been lucky enough to discover the richness of my own country’s cultural heritage, capturing this with my camera in photos and documentary films, which have been released on mass media. It took me years to try a new approach to my photos: capturing moments is wonderful and you need technical skills and sensitivity to do that, but… what about constructing the moments? I started photographing models and dancers in the studio. Suddenly I found myself so helpless directing a session, taking decisions about light, art and telling models what to do! It took me a while to develop that sensitivity and connection with them while being behind my camera. What motivates you the most, how can you catch up with yourself? If you think a little bit, there’s a conductive thread in everything I do: adrenalin. Adrenalin while taking photos as a photojournalist. Adrenalin when you come on stage to perform at a concert. Adrenalin when you arrive in a new city whose language, at first, is impossible to understand. Adrenalin when you see a dancer and there’s no more than 1/200 of a second to make the perfect “click”. For me, there’s no other way of living. Of course! Music is part of every second of my life. When I’m in Mexico, I produce music in my studio. I have to pay the rent, so I still write music for TV commercials, but I also write music for theatre plays, documentaries and short films, and recently, for dance, which I love. When I travel, I listen to local music to get immersed in that culture. I discovered things decades ago – before the Shazam app – by travelling with my Walkman, which had radio and could record onto a cassette, so I listened to local radio. If a song caught my attention, I recorded it and went to a record store to buy the CD. In 1997 I went back to Mexico with an extra suitcase for the 70 CDs I bought while travelling in Europe! I also discovered that singing is a wonderful way to learn a new language. So my English teachers were Lennon and McCartney. My Portuguese professor was Caetano Veloso, and my first words in Italian were taught by Lucio Dalla and Fiorella Mannoia. You discovered my demo reel!! You’re a good journalist. That’s my “CV” when I go to a new client for sound design. Yes: Two years ago, when I discovered the richness of Hungarian folklore, I started a documentary film. It took me to a few cities in the country and introduced me to the amazing history of Hungary. I also discovered some similarities to Mexican folklore and my documentary film shows them. Unfortunately, as an independent film, I run on my own budget until I can finish it and show it to investors. When there’s no money, it takes time. That’s where I am right now. Did you dig deep into Budapest’s bright side? Or did you discover the darker side as well? Not too deep on either side. To do that, I need to fall in love with a Hungarian woman. Maybe during my next trip. Could you tell us your favourite, personal experience from Hungary that you’re willing to share? Hungary and México are old cultures. We have architecture, traditions, food and beverages from 2000 years ago. 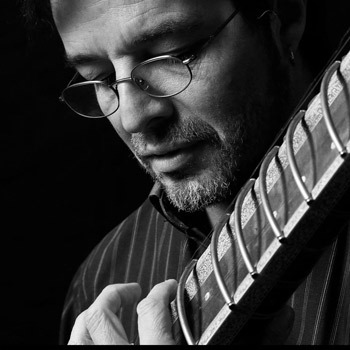 Discovering Hungarian music and its connections to Mexican folklore, which are ultimately part of the deepest human essence, as well as our huge differences, made me fall in love. That’s what I try to do in my documentary. By the way: one of my favourite discoveries here is Tokaji Aszú. I love it!